Researchers will be unveiling a new test to detect viral infections, such as Ebola, dengue fever, and yellow fever, at the annual national meeting for the American Chemical Society in Boston this week. The new paper-strip method was developed to make it easier to diagnose infections in remote, developing regions of the world that do not have immediate access to hospitals and advanced healthcare equipment. 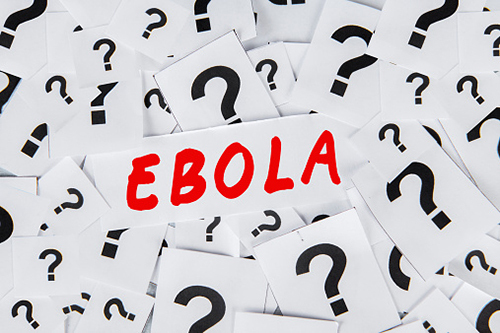 The best way to currently test for Ebola and other viral infections is by using high-tech equipment, like bioassays that can accurately detect harmful pathogens; however, these procedures must be done with precise technical expertise and within the setting of a controlled lab, which of course aren’t immediately available in remote parts of the world. In these regions, the priority is to first determine whether a fever is caused by a common illness, like the flu, or a more serious condition that requires quarantining—the new paper-strip test was developed to address this very problem. The test is said to work much like an over-the-counter pregnancy test. Each test includes three paper strips, each with nanoparticles that take on a different color, based on what size they are. At one end of the strip, the researchers attached red particles with antibodies that will bind only with Ebola proteins, orange nanoparticles for yellow fever, and green for dengue fever. In the middle of the strip, they added another antibody that has the ability to “capture” and affix the nanoparticles that have bonded to virus proteins, which will show which of the three viruses is present. These paper-strip tests are not as accurate as the more advanced methods and are by no means intended to replace them, but they can help with early detection in remote regions and thereby slow the spread of a potentially harmful outbreak. Developers plan to eventually put together kits that can be distributed for free wherever they’re needed. American Chemical Society, “Paper-based test can quickly diagnose Ebola in remote areas (video),” EurekAlert! web site, August 18, 2015; http://www.eurekalert.org/pub_releases/2015-08/acs-ptc071715.php.